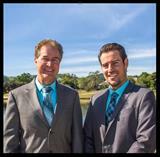 "Bruce & Bret Fouche are experienced, knowledgeable and highly professional real estate agents. They sold my house in June of 2015. They know a real estate market trends and gave me helpful, valuable insights about the house, its value and what I can expect. Five stars service!! I recommend to have your own experience with their services. T.S." "I received Great Support in selling my home of 46 years. I had specific questions as the home selling process moved forward... I received a quick satisfactory response each time. The balance between Bret and Bruce was a good balance between maturity and technology! This balance relates to handling my requests and the information presenting process to potential buyers. I would highly recommend the Bret & Bruce Fouche TEAM." "These guys are awesome, they helped me sell a home within a tight timeframe as I was also purchasing a new property. Even though we ran into several roadblocks, Bruce was able to keep the process going during the challenging situation and closed our deal with perfect timing. Highly recommended, these guys are world class professionals." "Bret and Bruce are true professionals. Had my home sold in 5 days due to fantastic marketing plan and word of mouth buzz created beforehand. They used state of the art video and camera technology to market the home in both traditional and social media. We got the highest price per sq ft in the neighborhood, which was awesome considering I had spent a lot of time and money previously remodeling, totally worth it. I liked the fact that you basically get two agents working for the price of one, definitely an advantage. These guys work hard, get them on your side to get top dollar for your home"
"My husband and I worked with Bruce and Bret when we sold our house in San Pablo, CA. At our first meeting, we immediately knew we made the right decision. They were knowledgeable, honest and very friendly. While getting our house sold was not exactly smooth (by no fault of Bruce & Bret) they remained professional and dedicated. Communication is very important to me and communicating with Bruce and Bret (via phone, email and text) was excellent. They returned all correspondence in a very timely manner. I HIGHLY recommend their services. You won't be disappointed!" "I found Bret & His Father Bruce off the internet and I was completely surprised by the way the treated me from day 1. I received a call almost as soon as I signed up to their website. I was a bit confused to who they were and how the got my number but then realized that I just signed up to their website and that's how they knew who I was. The put a list of properties I was interested in and spent the whole weekend with me looking at properties. The fact that they took the time to make the buying process that much easier probably save us hours and hours of needless searching. I am excited to find the right home for us and am thankful to them for making this process enjoyable and as stress free as it can be. Thanks Bret & Bruce for taking the time to help me find my home I know I am in good hands with your team! " "Both Bruce and Bret are very sharp and always on top of their game. They've delivered the best customer service a client could ask for by providing accurate and straight forward information in selling our home. They created effective and quality advertisements such as flyers, video presentations and online marketing ads. With that said, from the first day our house was on the market we began receiving offers and was able to sell our home within a week of exposure with multiple offers to choose from. Both Bruce and Bret did such an excellent job in managing the entire transaction and was professional at all times. We would highly recommend their team to anyone who is in the market to buy or sell a home." "I contacted Bret & Bruce through Trulia based on the fact that they seem to truly care about the families they help and they work together as a family as well. It is important to me that our agent understands how important the decision to sell our home is to MY family and with so many other agents out there its hard to trust what any of them says. When I made the decision to contact Bret & Bruce I literally got a response within 2 minutes! They didn't just grill me about what I was looking to spend and if I was qualified, they ask how they could help out my family and it was a very different feel and approach than I had experienced in the past with other Realtors I worked with. At the moment they are helping me make the decision to Sell my house and Buy another one and we are speaking to their lender to see whether I qualify for a loan based on the certain selling price of my home. They have even reached out to their CPA to assist me with any tax implications I may face which was great"
""Bruce Fouche Finds Dream Home for Family in Castro Valley!" If I were writing a newspaper article, that is what I would entitle it. Our family recently completed a cross-country move from Northern Virginia to California. As any of you who have moved can imagine, this was no simple feat - logistically and emotionally/socially speaking, as we lived in Virginia many years. This was the only home our 3 young sons had known all their lives. Fortunately, I found Bruce on craigslist, and he immediately started looking for a home for us to rent, while we were still in Virginia. He sent us links to houses, and on some houses where we were interested he visited them personally and then gave us his honest feedback. He took the time to listen to what we were looking for and discouraged us on pursuing some houses he knew would not fulfill most of our needs. Bruce found us the house of our dreams (which we hope to buy in the future) and oversaw a challenging closing process with the owner. " "Bay Area Realty Solutions helped us buy our first home and we are already returning to them to purchase our second home. What would have been the most stressful event of our lives turned into a positive experience because of their expertise and professionalism. They consistently went above and beyond to ensure the process went as smoothly as possible for us and we would (and do!) recommend them to all of our family and friends. " "They have been helping me the past month to look for a home in Livermore. They are very responsive, professional and alway communicate with me in a timely manner. We have narrowed down communities in Livermore and Bruce has also helped my get my financing situated with one of his recommended lenders. I am so happy I found his team at the Alain Pinel offices in Pleasanton and would recommend him and his team to anyone looking to buy, sell or invest in the Bay Area!!! Thanks again Bruce Fouche!"